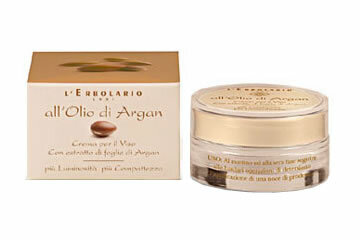 Golden Argan Oil is the vital ingredient of the balanced formula of this rich face cream, which is particularly suitable for treatment of wrinkled skin which lacks tone and is also recommended for all skin types, in order to maintain tone and keep it young-looking and well-defined over time. The rare active substance is used here for all its super-compacting and nourishing properties and also to exploit to the full its rare ability to restore vitality to the skin. My face's skin loves it!